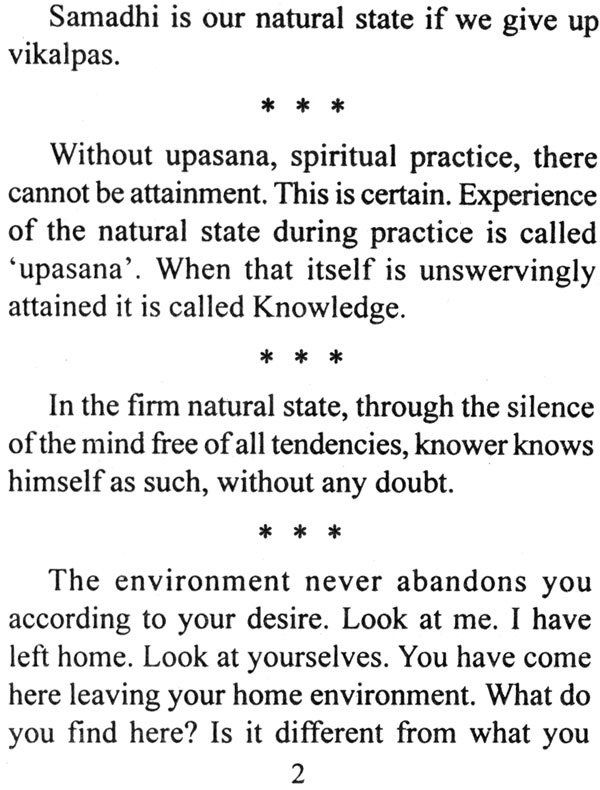 After Buddha, Ramana. Why is it said so? Cautama, the Buddha, lived for fifty years ate his enlightenment. Ramana's death experience' was in 1896. 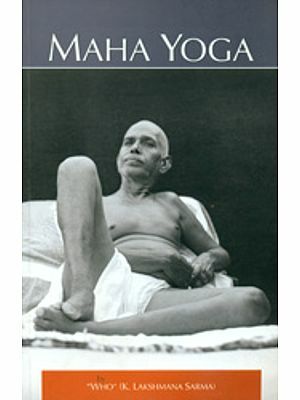 His mahasamadhi was in 1950, fifty four years later. In this period he remained accessible to all, communicating through silence and through potent words, the direct way to Self-knowledge. Such long periods of spiritual ministration as that of Buddha and Ramana are unparalleled in spiritual history. Much of philosophic thought is bogged down by dialectic disputes about the nature of God, the nature of the world, and the individual's relationship to them. Ramana steers clear of this quagmire by focussing attention on the essential need to discover one's true identity. For such quarrels are only part of the mind's illusive ways. "The truth about oneself alone is worthy of being scrutinized and known". Of what use is it to know everything about the world if we remain ignorant about ourselves? It would be worth remembering that the answers to all questions will be found when one becomes Self-aware. What stands between us and Self-knowledge it is the baffling variety and multiplicity of thoughts. The mind is always occupied not only with thoughts which are functionally necessary but also with innumerable others which are superfluous and unwanted. We are unable to be free of this babel. We do not have the know-how to deal with the mind. 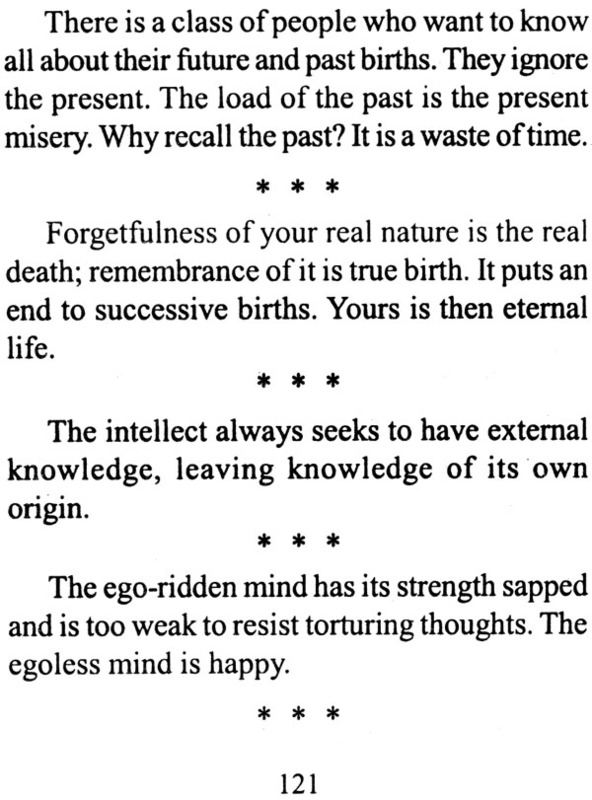 This is because we have seldom, if ever, paused to enquire about the nature of the mind. Ramana provides us with an infallible means to find out about the mind in the form of the attention focussing questions 'who am I?' and 'whence am I?'. attention on what? On the subject, on the 'I' the first makes one alive to the core issue-'What is one's true identity?' so far we have taken scant or little interest in finding this out. The question therefore serves the purpose of kindling the spirit of enquiry and it infuses the urge to find out the truth. The second question is complementary. 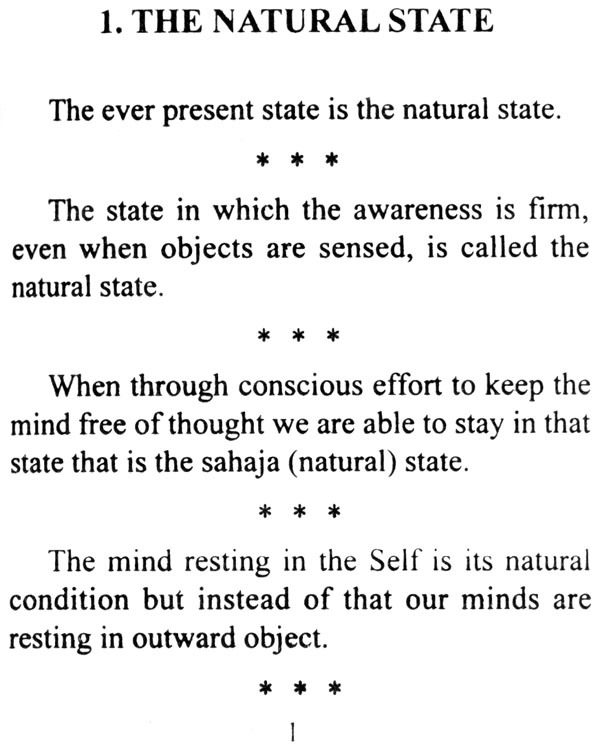 Presently our sense of existence is linked to the mind. But, focussing attention on the mind reveals that it originates from the spiritual heart whose light it reflects. This practice is termed self-enquiry for we are enquiring about the thinker, the seeker, the individual. This enquiry turns the mind inward, resulting in a stillness of the mind and the intuitive perception of the surging joy within. Ramana's teaching appears so simple that our complicated minds doubt whether peace and happiness can be so easily obtained. However, one can be sure that it is so. Diligent practice of self-enquiry is bound to experientially confirm it. While questing there are many distractions. The desire for occult powers, for knowing about past lives, for crystal gazing into the future, for clairvoyance and so on. 'Of what use are these?' Ramana would ask. 'Do they toss your worries away? Do they give you happiness? Do they bring you closer to the truth? Why waste time on them?' then there is the constant debate and concern about fate and free-will. So long as one's sense of doership is alive and kicking, one is bound to act with the feeling that his action matters and he alone is responsible for success. if this be so would not all talk of destiny be a mere theoretical exercise? Where does the Supreme come in? Should not one find out who it is that is bound, and who it is that is free? There is also the continual interest in reincarnation. Will we be reborn, if so how soon and in what circumstances? Till the cause of birth, the tendencies, attachment and desires are there, till the truth about the desirer is found out, the cycle must continue. As Ramana says, 'Why and how did you get this birth? For the same reason and in the same manner you must have succeeding birth'. If one is earnest about cutting the karmic chain should not one make an all out search to discover the true identity, the 'I', which is eternal and unborn? Ramana would encourage the votaries of all paths. 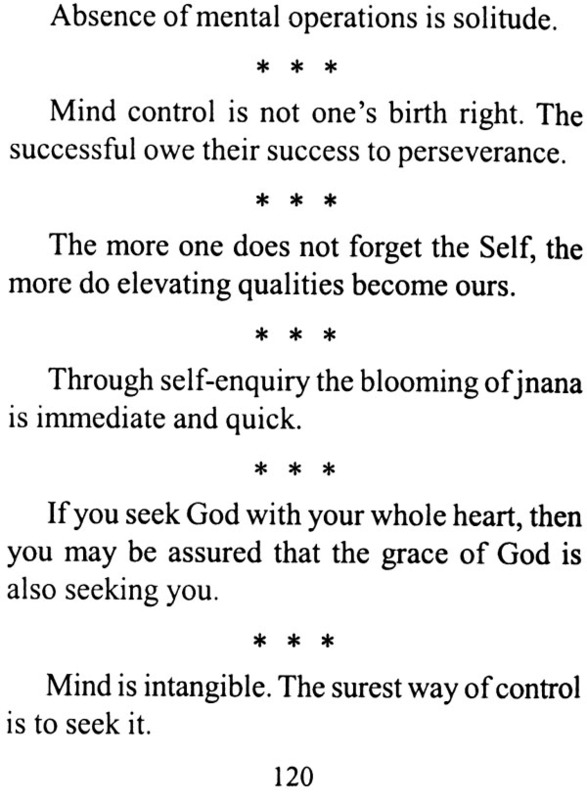 We find in these sayings loving Ramana's concern in guiding seekers. His view is that they are all good for the purification of the mind and that a purified mind alone is capable of steadfastness in spiritual practice. At the same time he would keep emphasizing 'source consciousness'; awareness of the source of mantra, source of breath, source of the 'I' thought. For that is the most effective means for tranquility for peace of mind. Ramana would also highlight the need for the search to find out one's true identity which liberates one from the stifling atmosphere of a mental shandy in which we now live. 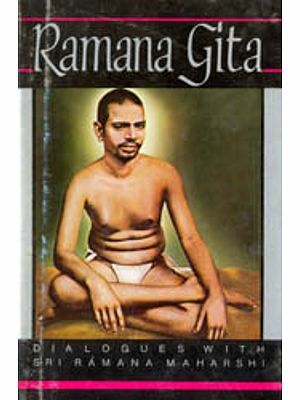 This book of Ramana's sayings would be of value not only for those practicing self-enquiry, but also for all seekers of truth, for his teachings are of universal value. It is not based on dogmas and theories but on Ramana's direct experience and steady Self-abidance. The modern dilemma is how to combine work and wisdom, how to find repose in an active life. For this, Ramana provides a way of inner detachment which enables one to tackle the problems with an unconscious power which develops with practice; a power to deal with men, ideas and events with a calm equanimity. Also it helps by linking us with the inner 'atmic', divine, force which enables the conservation of mental energy and the gradual conversion of all time into meditative time. While one's hands are busy at work the mind is in cool Himalayan heights. Each utterance of Ramana has a special sanctity. So the question was what to include and what to omit. To just string together the sayings without a clear idea of the purpose of the book would have give us only a series of 'quotable quotes'. The selection has therefore been made keeping in mind the seekers hard pressed for time and needing a counsel fin their spiritual practice. The great advantage is that Ramana is a twentieth century 'jnani; who lived so close to us. Therefore we find a contemporary relevance in his teachings. The subject-wise arrangement of the chapters has been made within the overall framework of its utilitarian purpose. While reading and contemplating on Ramana's sayings one would do well to recall that the words are those of one who walks on earth once in a millennium or two. If we allow his words to sink in, they are bound to do their work, of providing the inner guidance in our search for truth.